The reluctant S. . . Ally: A force sorcerers control by enticement. They have a direct link with hallucinogens. Art of dreaming: To hold the dream images with attention. Similar to lucid dreaming, the most important part of this exercise is to find and look at your hands in a dream. Gait of power: Running in darkness without tripping or hurting yourself. To let your instincts guide you. Seeing: Looking beyond the tonal and perceiving the nagual (tonal: logic, order; nagual: impulse, unmanifest). Recapitulation: Reliving past incidents so that they lose their force. Stalking: To change personalities so that the limited perception of the self is broken. Second attention: The first attention is the tonal, or the everyday world. It is only when a person shifts to the second attention that he perceives the nagual. Warrior: A person who is impeccable in his actions and considers himself already dead, thus surpassing the fear of death. Sorcerers are also warriors. Second Attention Walk for long stretches. Look at everything by slightly crossing the eyes, keep a peripheral view of everything. This will help hone the second attention. Twilight Power Draw power from the twilight by jogging on the spot and raising your arms to the sky with the fingers stretched, and then clasp them forcefully when the arms are in mid point between the horizon and zenith. Magical Breaths When stressed or fearful, push your diaphragm down while taking four sharp gasps of air, followed by four deep inhalations through the nose. Clasp your hands tightly, covering the navel. Shaman’s Rest For complete rest, lie down comfortably on your stomach with your face turned to the left and your feet over the edge of the bed. A soft pillow over the shoulders, away from the neck, also helps. Gazing at Infinity Sit with your back propped against a wall. Relax. Gaze at a still body of water or distant mountains without focusing. Scan the object slowly. This helps in gathering the second attention. Do sorcerers die? Perhaps they do. Even from liver cancer. At the ripe old age of 72. ‘Nothing that I had ever done, nothing that I had ever imagined, could even compare to the anguish and the loneliness of that moment,’ wrote Castaneda in his book Tales of Power, describing his feelings when he stood at the edge of an abyss, ready to jump into it and prove his worth as a sorcerer. He faced death then. But death, for the bestselling author, also considered the godfather of America’s New Age movement, was as much a part of life as breathing. Born Carlos Cesar Arana Castaneda, in Sao Paolo, Brazil, the author migrated to the USA in 1951 and studied anthropology at the University of California. It was during one of his research trips to Mexico in 1960 that he came across don Juan Matus, a Yaqui Indian shaman, who practiced an ancient system of sorcery. ‘I began to tell him that my interest was plants, especially peyote (a hallucinogen). 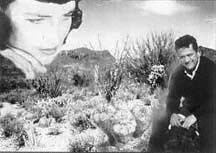 He kept on staring at me from time to time and that made me very uncomfortable because I didn’t know anything about peyote, and he seemed to have seen through me,’ Castaneda recalled in one of his rare radio interviews after the publication of his first book Teachings of Don Juan: The Yaqui Way of Knowledge in 1968. He began his sorcery apprenticeship in 1961, terminated it in 1965 but returned in 1968 to continue till 1971 when don Juan disappeared into the ‘other world’. The descriptions of his apprenticeship, as well as his own experiments with sorcery, can be found in lucid detail in the 10 books Castaneda wrote on the subject. That’s about as far as the biographical details go. Of course, none of it can be confirmed since Castaneda was known to be an inveterate liar about the statistical details of his life. That, actually, is also part of the sorcerer’s way. According to Don Juan, erasing personal history is important since it separates the sorcerer from his past and keeps his luminosity intact. Which is why Castaneda remained a recluse, refusing to be photographed or interviewed. This secrecy was broken by a brief interlude during the last years of Castaneda’s life when he held workshops on an intricate system of movements called Tensegrity or Magical Passes. The secrecy and the workshops do not, however, contradict each other. ‘Since don Juan’s lineage could not continue due to our energetic configuration, our mission was transformed from continuing his lineage into disseminating his ideas. Don Juan’s lineage ends with us,’ the elusive author stated in a 1997 interview. Not much is known about Castaneda’s family. Though he claimed that he had no relatives, his death certificate lists a niece, Talia Bey, who is president of Cleargreen, a company based in the USA that had been organizing Castaneda’s Tensegrity seminars. The death certificate also lists him as never married though, according to Margaret Runyan (author of A Magical Journey with Carlos Castaneda), she was married to Castaneda from 1960 to 1973. No proof of their marriage, as usual, is available. Castaneda, in his book The Second Ring of Power, states that when people have children, it creates a hole in their luminosity. To regain the luminosity, parents who want to be sorcerers must steal it back from their children. In fact, deception, attempts at murder, stealing powers, hatred, loathing for fellow apprentices, all these form part and parcel of the sorcerers’ life. Don Juan himself seems to play double games, pitting one apprentice against the other. The aim, of course, is to find the apprentice best suited to take on the mantle of the nagual, the master sorcerer. The lack of sensitivity, however, does not mar the incredible beauty of the imagery. ‘We are pieces of the sun. That is why we are luminous beings,’ says la Gorda, one of don Juan’s apprentices. The universe, sorcerers believe, is made of two principles: the tonal (unity, coherence, thought) and the nagual (disintegration, impulse, feeling-the source of everything). The tonal is the perceived reality. It is only by boosting the tonal that the nagual can emerge from its depths. The aim of sorcerers is to reach a state of total awareness by tapping the nagual within, thus bringing the two aspects of the universal existence into perfect harmony. According to don Juan, the universe is an infinite agglomeration of thread-like energy fields called the Eagle’s emanations, which radiate from a source of inconceivable proportions. Human beings are also composed of the same energy fields, which form a layer of luminosity the size of the person’s body. A very small group of the energy fields inside this luminous ball is lit up by a point of intense brilliance called the assemblage point. Perception occurs when the energy fields in this small group extend their light to illuminate identical energy fields outside the ball. The inaccessibility of the supernatural world is due to our energetic conditioning. When the assemblage point shifts, new filaments of the universe pass through it, making it possible to perceive a different reality. This shifting is called dreaming which, according to sorcerers, is the gateway to infinity. The idea is to be conscious of it and direct it. All this can be attained through what don Juan calls impeccable living. Though what impeccability means is never quite explained. In don Juan’s terminology, that is also the warrior’s way—which is what a sorcerer is inherently. Castaneda’s journey into the realms of sorcery was not easy. From his own descriptions in his first few books, he comes across as a bumbling fool, the typical white man who can’t see beyond his limited sphere of rationality. But six books down the line he emerges as the new nagual, don Juan’s successor. Definitely, Castaneda’s books are a good read, peppered with sufficient suspense and drama. Not to mention incredulous tales such as when don Juan creates a peculiar rodent who wears eye-glasses, to prove a point in nagual creativity, or when Castaneda shifts his attention and crosses into the nagual world, only to emerge as shimmering ripples before the other apprentices. Along the way, Castaneda learns to fly, grows a beak, is chased by giant insects. The question, however, remains: Did don Juan exist? Efforts to trace the old Yaqui Indian have been fruitless. The lack of colloquial or cultural traits in don Juan’s conversations as reported by Castaneda have furthered the notion that his bestsellers are fictitious, albeit brilliant, pieces of literary genius. But if a hoax can be as intriguing and illuminating, then there is definitely something to that. Castaneda, in spite of the often unpalatable tidbits of humor, does create a philosophy that is stark, exacting and mind-boggling. And vastly different from the traditional shamanic rituals that are primarily healing in nature and involve chants, trances and a staunch faith in native gods. Celibacy, however, is essential to Castaneda’s version of sorcery. This preserves energy and directs it in shifting the assemblage point. From blinding panic to exquisite ecstasy, Castaneda seems to take his readers on a magical mystery tour through the psyche. The spirit is seduced in the sheer intoxication of the eternal. ‘We are all going to face infinity, whether we like it or not. Why do we do it when we are weakest, when we are broken, at the moment of dying? Why not when we are strong? Why not now?’ questions Castaneda. You are forced to think. For death was not only a preoccupation with the celebrity author, but a way of life. ‘A warrior considers himself already dead. That is why he has no place for fear,’ said he. Was Castaneda prepared to die? We would never know. We would never even know if don Juan existed, or if the ancient shamanic rituals that Castaneda brought to life were real. But somewhere along the way, his name would go down in the annals of New Age literature as the man who considered death ‘the greatest kick of all’. Which is why he saved it for the last.